Click on each photo for complete bio. 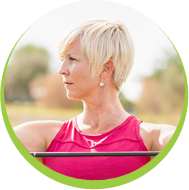 Founder and President, Yoga for Golfers®, Nike Swoosh Elite Athlete and Advisory Staff Member, Golf Magazine Fitness Panel Expert, and E-RYT 200, Katherine is a 20-year veteran in fitness training, yoga studies, professional coaching and motivation. 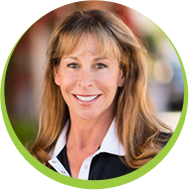 She is a certified fitness trainer, yoga instructor, golf biomechanical specialist, and top performance coach. As Founder of Yoga for Golfers’ revolutionary Mind/Body approach to golf fitness, Katherine has been featured on The Golf Channel, Golf Magazine, Sports Illustrated, Fox Sports, ESPN, and numerous other print media. As an E-RYT with Yoga Alliance, all training with Katherine counts as continuing education with YA. Read more about Katherine here. 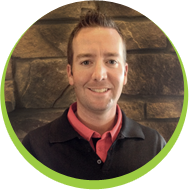 Junior Golf Expert and PGA Professional, Ryan has worked at Troon North Golf Club in Scottsdale, Arizona for over a decade. During his tenure, he has taught alongside renowned PGA instructors Tim Mahoney, Steve Dahlby, and Doug Hammer. At Troon North, Ryan provides instruction to hundreds of golf guests from around the world and teaches a wide array of clinics to golfers of all abilities. A U.S. Kids Golf Certified Instructor, Ryan heads up the Troon North Junior Academy, providing Juniors of all levels, the opportunity to learn the game in exciting and new ways, without compromising the most important factor - fun! 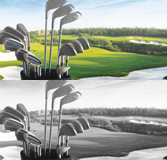 Ryan also presides as the Lead Fitting Specialist in the Callaway Performance Center (CPC), where players are fit utilizing the same cutting-edge technology used on many of today’s PGA, LPGA, and European Tour players. 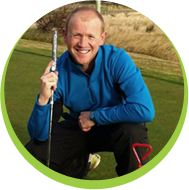 A Scotland PGA Professional, Oliver is the Founder of The Leading Edge Golf Company that provides Junior and Holistic Coaching at Swanston New Golf Club, Edinburgh, Scotland. 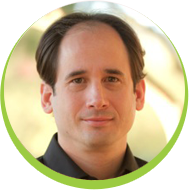 Oliver is a Complete Game Coach, going beyond the technical aspects of golf performance to encompass the physical, tactical, mental, emotional, social and spiritual aspects of the game as well, and how each is paramount to performing at the highest level. Originally from Sheffield, England, Oliver moved to Scotland in 2002 to study at Stirling University, completing his degree in 2007 and turning Professional the same year. During his PGA training, Oliver was awarded the TGI Scottish Assistant of the Year and has been fully qualified since 2010. Trained by some of the finest coaches in the world, Oliver is one of five professionals in the UK who is K-vest Level 2 Certified and has extensive knowledge of the world of 3D Biomechanics, working with clients such as Stephen Gallacher, a European Tour Player. Oliver has recently been asked to become a PGA Tutor/Assessor and is a University of Stirling Futures Coach, where he assists in developing of some of the finest Junior and Youth Golfers in Scotland. Oliver’s advanced training credentials include: PGA Professional (AA), Coach54 Alumni (Vision54), TPI Certified Level 3 Golf Instructor, TPI Certified Level 3 Junior Coach, K-Vest TPI 3D Level 2 Certified, Plane Truth Level 1 Instructor, Stack & Tilt Network Instructor and Glenn Billington Putting Coach. An avid golfer and passionate about yoga, at seventy years-old, Len brings a wealth of experience and expertise to YFG. He is a Certified Level 2 Yoga for Golfers Instructor and is a 200-hour Anusara-based certified yoga instructor in the Denver, Colorado area. 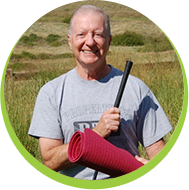 Len teaches several weekly yoga classes at the Heritage Eagle Bend Golf Club and has hosted numerous Yoga for Golfers workshops. Len’s world of experience includes a 31-year career in the U.S. Air Force, with 10 years in aerospace, including the Space Shuttle and other rocket programs. After retiring from the Air Force in 1999, Colonel Len Brady taught at the high school level for five years. Len returned to his military roots when asked to travel to Army posts for a year to provide some much-needed (non-yoga) training. Len brings his well-honed business acumen to YFG as well, helping his father build a successful small business while attending college in Southern California. His latest business venture - Len and his wife are part-owners of a craft distillery in the San Francisco area. Len says he only plans to retire at bedtime. A leading sports psychology consultant, licensed professional counselor, and the author of "The Champion’s Mind: How Great Athletes Think, Train and Thrive" (Rodale, 2014), Dr. Afremow provides individual and team mental training services across the globe to athletes, teams, and coaches in all sports, including MLB, NBA, WNBA, PGA Tour, LPGA Tour, NHL, and NFL. In addition, he has mentally trained several U.S. and international Olympic competitors, and served as the staff mental coach for two international Olympic teams. A Class A member of the LPGA, Teaching and Club Professional Division, Jennifer’s extensive golf career spans over 3 decades. She was a Junior All- American, played Pac-10 collegiate golf as well as professionally on the LPGA developmental tours, and had a very successful amateur career after gaining her amateur status back. 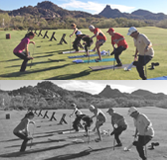 A Level 2 Yoga For Golfers Certified Instructor, Jennifer is also a C.H.E.K. 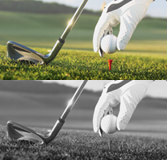 (Corrective High Performance Kinesiology) Golf Biomechanic and M.A.T.T. System (3D Technology) Certified. 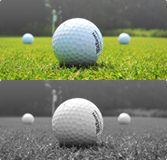 With over 20 years of teaching experience, Jennifer instructs beginning players, recreational players, Club Champions, and PGA/LPGA Tour Professionals. 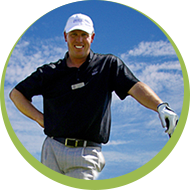 Doug is a Class A member of the Southwest Section of the PGA of America and has experience with golfers from all over the world, from beginners to top ranked amateurs and professional players. With an impressive background as Director of Instruction at premier Troon golf facilities in the U.S. and worldwide, Doug is the Director of Instruction at Troon North in Scottsdale, Arizona since 2007 - where he also oversees the Callaway Performance Center and is a Callaway Master Club-fitter. A regular contributor to Golf Tips Magazine and recognized as one of their Top 30 instructors, Doug partners with Katherine in Level 1 and Level 2 YFG Certification, both Live and Online, to provide golf swing analysis paralleling YFG’s mind and body training to make the all-important body/swing connection. Luba Brock is a registered yoga teacher with Yoga Alliance (RYT) and a Certified Level 2 Yoga For Golfers® Instructor in Scottsdale, AZ. She has studied with many different disciplines and teachers, including Betsey Downing (FL), Ross Rayburn (CA), Martin Kirk (AZ), Lois Nesbitt (NY), Mitch Bleier (NY), John Friend, and Paulette Bodeman. An avid golfer, Luba’s passion for both golf and yoga is evident in her expertise and focus on dynamic alignment, graceful flow, and mindful breathing. 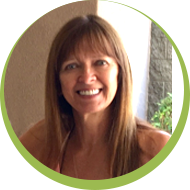 Luba assists Katherine in her Arizona-based Level 1 and Level 2 Certification Programs and teaches many of the YFG ONSITE! 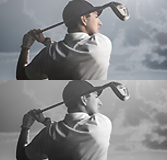 programs at Scottsdale-area golf courses. 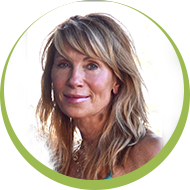 With 40 years’ experience in the health, fitness, and wellness industry, Ann-Kristin – or “AK” - has received numerous certifications from the prestigious Cooper Institute in Physical Fitness, Biomechanics of Strength, Dietary Guidance, Health Promotions, and Special Needs Populations. For the past 15 years, she has devoted her training to the correlation of body mechanics specifically as it relates to the game of golf. AK is a TPI Certified Fitness Professional Level 3; a Level 2 Certified YFG Instructor; ELDOA Certified Level 2, and; a LightMD Certified Provider. As a highly respected professional in both the golf and fitness industry, AK always focuses on her clients’ needs and works with this Aristotle quote in mind – “We are what we repeatedly do. Excellence then is not an act, but a habit.” Since 2006, AK has been the Golf and Fitness Performance Coach at The Clubs of Cordillera Ranch in Boerne. She also volunteers as First Tee of San Antonio and has written or has been mentioned in numerous articles including Cordillera Living, Avid Golfer, San Antonio Magazine, and Club and Resort Business.